Birds are actually lining up to use the bird feeders at Audubon House at the Oslo Riverfront Conservation Area (ORCA). 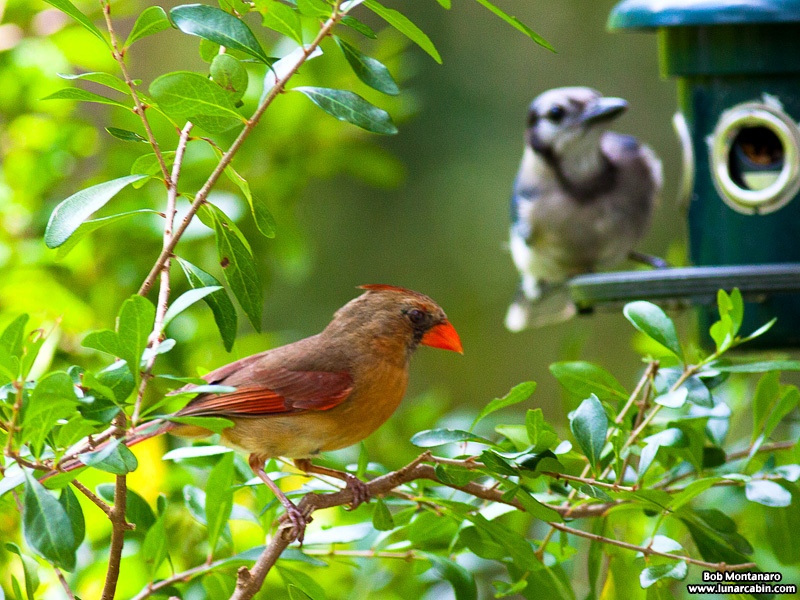 And it can get quite raucous at times with the Cardinals, one of which is seen here in the foreground, and the Blue Jays, one can be seen in the background on the feeder, and their young ones all vying for the feeders at the same time. When the squirrels arrive, watch out!